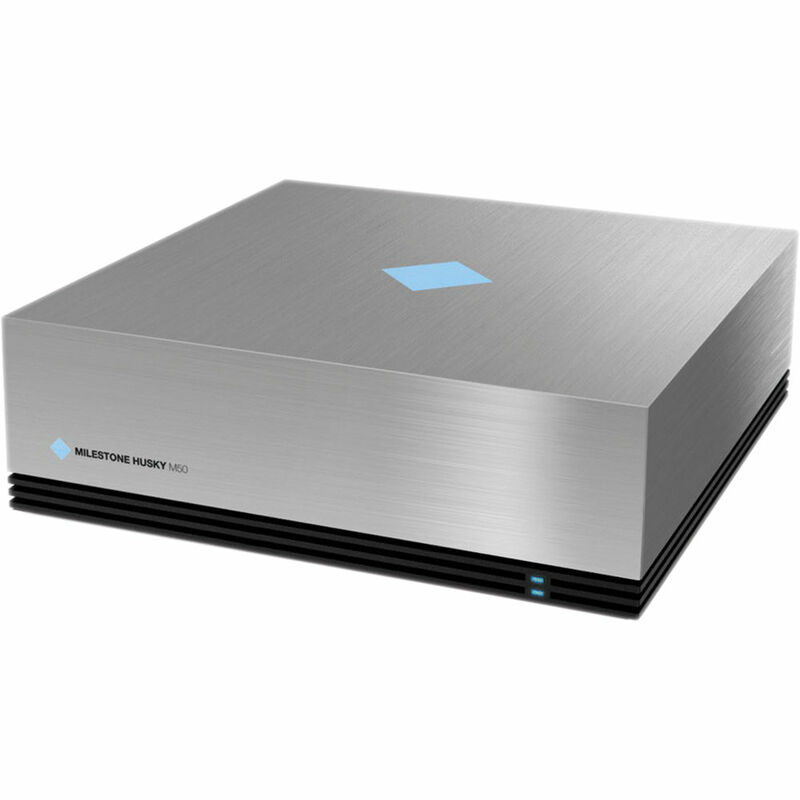 The Husky M30 10-CH 2TB HDD NVR from Milestone is a surveillance workstation designed to be easy-to-use with fast set-up and programming, and an intuitive user interface. It is ONVIF compliant and compatible with hundreds of cameras from a wide variety of manufacturers. Many 3rd party applications for video analytics, like license plate/facial recognition solutions, and hardware interfaces, such as POS systems, are easily integrated into the Husky's system. HDMI and DVI video-out ports provide options for monitors, while four USB ports allow a mouse or devices like thumbdrives and external hard drives to be connected. Media streams, camera settings, recording settings and schedules, as well as events and alarms, are configurable by channel to optimize surveillance coverage and HDD usage. The M30 can be accessed locally or remotely. With Milestone's XProtect Web Client you can log into the Husky anywhere you have an Internet connection. For total access, Milestone offers the Mobile app for Android/iOS devices. This mobile app gives you the ability to watch the live-view, control outputs, play recorded video, control PTZ cameras, or trigger outputs and events from your smartphone or tablet.